BSE has been working closely with Blue Haven and APP throughout the design phases of this project. The Kiama Aged Care, Centre of Excellence (KACOE) has now commenced construction on the site of the old Kiama hospital. This $73 million development offers a range of facilities for independent living, assisted care, low-care and dementia care. 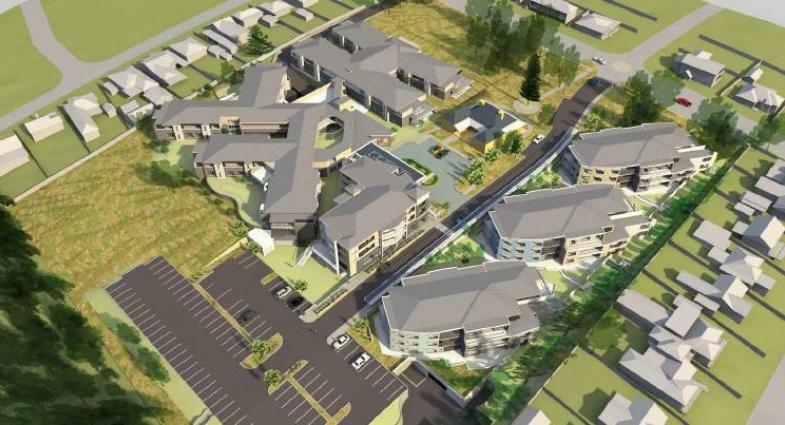 The project includes 134 aged care beds within the RACF, 16 assisted living units, 51 independent living units and the refurbishment to a heritage community hall and meeting rooms. BSE is delivering engineering services including electrical, mechanical, fire, hydraulic, communications, security, ESD and vertical transportation. We are excited to collaborate with Richard Crookes Construction during the construction phase of this project with a predicted completion date at the end of 2019.